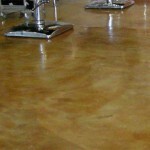 Transform your internal floors with Mastershield Polymer Flooring. 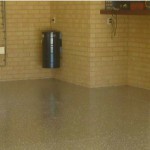 This innovative and hardwearing compound can be used to take tired and worn-out concrete floors from plain to amazing. Ideal for both domestic and commercial use, Mastershield Polymer Flooring is an epoxy water-based substance that can be sprayed on to replicate the appearance of everything from timber to marble. Mastershield Polymer Flooring is extremely flexible and combines the strength of concrete with the style and appearance of other, more attractive flooring options. Contact Repave today to learn more about Mastershield Polymer Flooring. I am very happy with all the work that the team of repave did for us. Thank you so much Peter for your advise and professionalism.